Active Chiropractic & Wellness Centre has been delivering high-quality natural health care to patients of all ages and health care goals in the Peterborough region since 1988. Dr. Jeff Lustig practiced for six years in his hometown of Toronto before moving to our community, having decided to raise his family in the beautiful Kawartha Lakes Region. All ages, from newborns to seniors, can benefit from chiropractic care that boosts your immediate and long-term health and provides numerous benefits during any stage of life. Dr. Jeff’s hands-on, drug-free approach to health is holistic and involves chiropractic care, laser therapy, orthotics, nutritional programs and exercise. 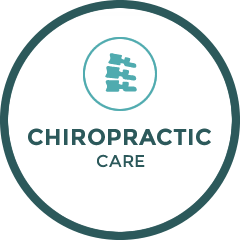 There are numerous health conditions commonly treated at Active Chiropractic & Wellness Centre. It’s our privilege to give an infant their first life-enhancing adjustment and keep seniors active and pain-free. Dr. Jeff is experienced in evaluating your condition, then making a personalized plan to meet your needs and achieve your goals. Chiropractic care can make an incredible difference in your life. Not only can you get out of pain, but you can function better, have more energy, performance at a higher level, enjoy healthy active aging and find that life is full of fun! We’re continually inspired by seeing the results our patients get! Get started today with a same-day appointment. Book your time online or contact us today!